WBC heavyweight champ Deontay Wilder met up with the folks at DAZN yesterday and according to Shelly Finkel, the talks “went well.” Nothing is official, yet some people – Eddie Hearn among them – are optimistic Wilder will agree to fight on the streaming service and that the long-awaited Wilder/Anthony Joshua super-fight can at last get made. According to the ESPN piece, if Wilder does sign up with DAZN, his upcoming fight with Dominic Breazeale could be the first fight of the deal. And then, if Joshua beats Jarrell Miller in his June 1 fight, also on DAZN, the two unbeaten champions would meet some time in the fall. Of course there is a long way to go yet, but with the suggested money Wilder is being offered to go with DAZN, it seems we might, just might, be closer to seeing a Wilder/Joshua clash than ever before. According to a story from World Boxing News, Wilder has been offered a staggering $50 million deal from DAZN, this for two fights to take place before the showdown with Joshua. 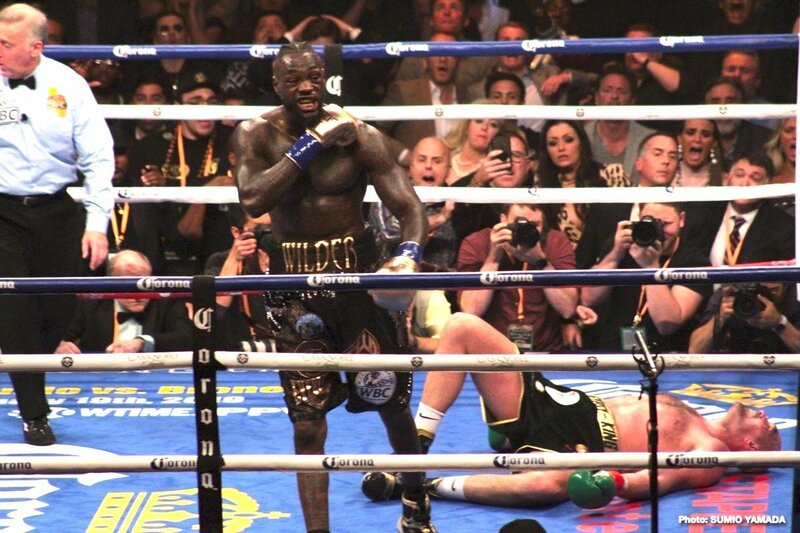 If Wilder accepts, and providing he then won both of these fights, for which he would be paid the handsome sum of $25 million each, the big unification battle between Wilder and Joshua would then get done some time in 2020. Again, there is no official word yet from Skipper or anyone at DAZN, but if the big money that WBN has reported is indeed on the table, Wilder would be foolish to turn it down, wouldn’t he?